When I was a kid, I loved to color. I remember my aunt used to sit with me and color too. When I had a baby sitter, my favorite ones were the ones who colored with me. 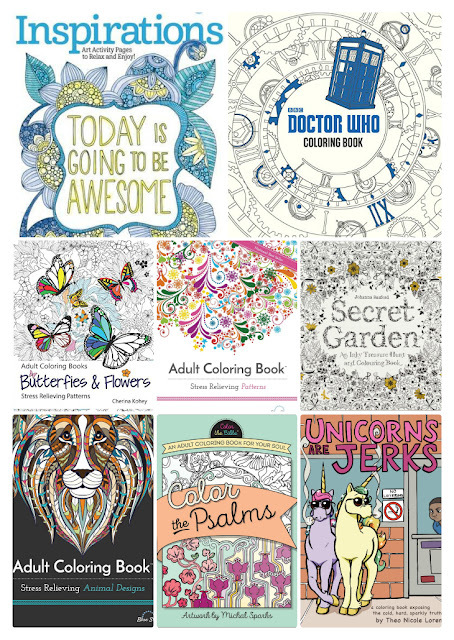 I guess they were all ahead of their time because adult coloring books are insanely popular almost three decades later. I still love being crafty and getting creative. I downloaded some apps for coloring, but it's not the same at all. I need the real thing in order to relax. Coloring is a great way to relax and unwind after a stressful day. What better way to relax than going back to a childhood favorite? My kids are 8, 10, and 13 now, and my younger two will color with me after school. I love just sitting and talking and spending time with them. 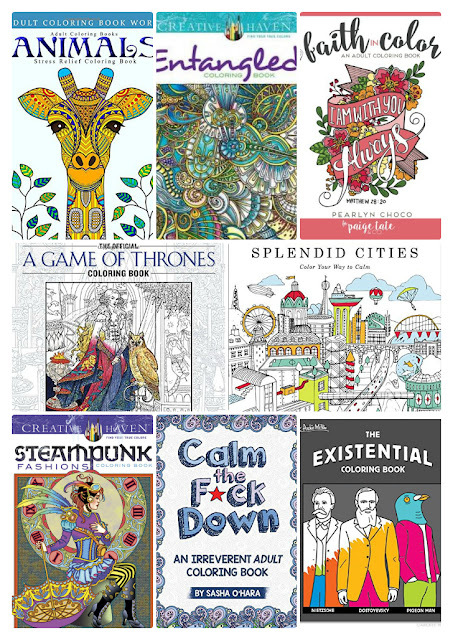 Here are some of my favorite adult coloring books. Don't forget to stock up on crayons. 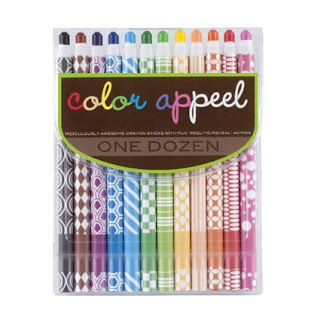 Sure, you can raid your kids' stash of crayons, but I like to use fun ones like these from Color Apeel.